When it comes to the heart, it is helpful that we pay close attention to them. It's what pumps the blood, but when your arteries are clogged up from build up, that's when the problems begin. 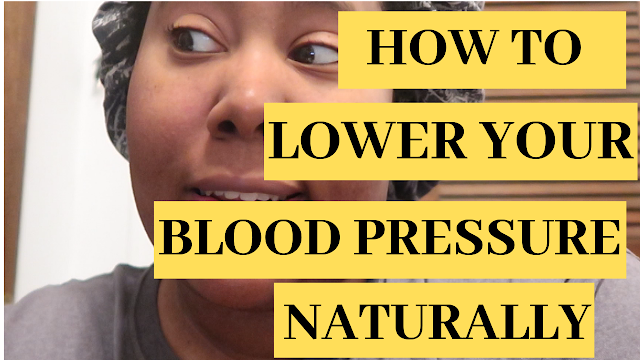 For over a year, I've been dealing with my blood pressure, I have even been prescribed medication for it; but in 'Latisha Fashion' I stopped taking them. Mainly because I hate medication I don't like taking them and plus I knew if I kept an eye on my diet I would be all right. Well, for a while my diet has been up and down so you can only imagine the symptoms I begin to experience because of this. Sleeping habits played a part as well, but my eating was out of control and that is something I have to admit. It became even real for me when I had a biometrics test done at work and my blood pressure was checked and the numbers were extremely high. This experience made me realize this was no longer a game I had to find and do something to better my overall health. In my time of research, I came across this natural blend that claims to lower your blood pressure in a minute. Does it work? Watch the video below to see.